I want to limit my form to members of the domain CBC.ca, is there a way to do that. Unfortunately, I believe it is not possible right now to restrict the form that specifically. But, if you haven't shared, posted or embedded your form in a website, it still remains private and will not be displayed to Google searches. Only those who you have shared the link have the idea that your form is live. I do have a couple of workaround in mind that you could implement to restrict further your form. 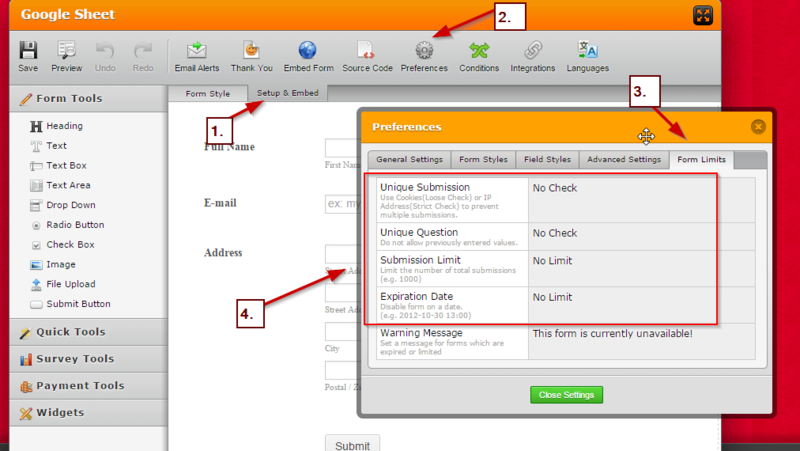 You can then choose a couple of ways to make your form limited, this includes one submission per IP, expiration date, total submission that can only be done. If you have a website, you can also password protect your website's sub directory. I hope this helps or at least gives you an idea on how to proceed. Let us know if this works.